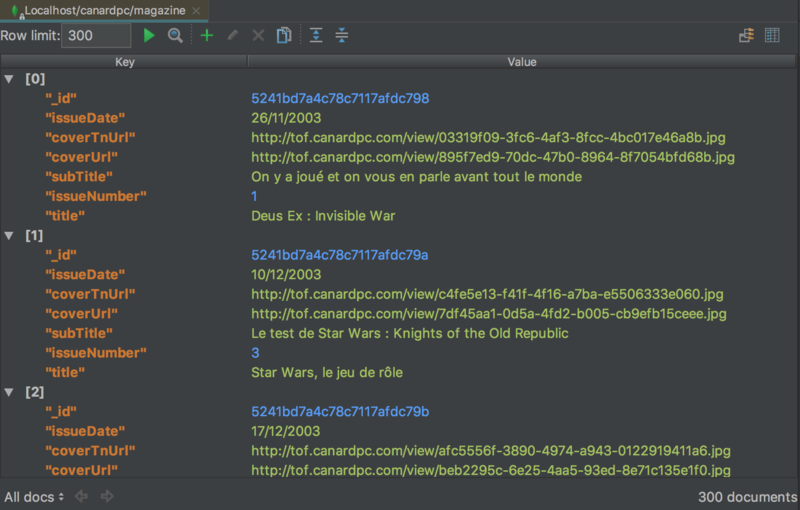 Want to be notified of new releases in dboissier/mongo4idea? 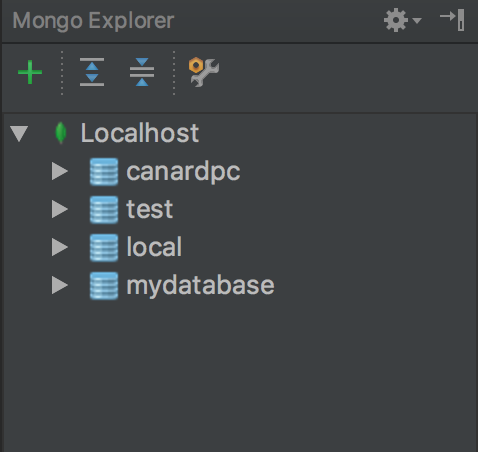 This plugin integrates MongoDB Servers with database/collections tree, Query Runner and Shell console. 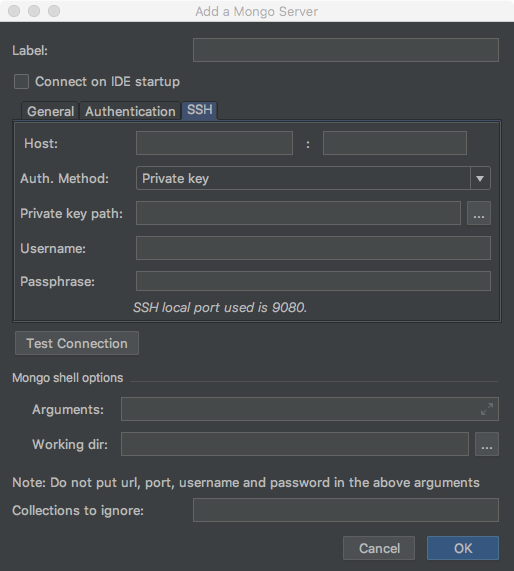 This plugin was built for IDEA 2016 and upper versions, requires JRE 1.8 and Mongo 3. 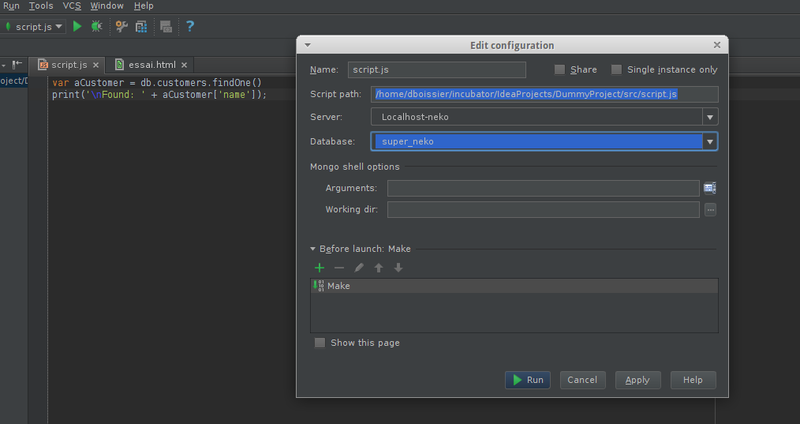 To use the Mongo shell directly from the plugin, click on the [wrench]icon, set its path in the corresponding field. As alternative, you can use the Terminal plugin. When you are done, click on the Test Connection button to check the server configuration. you can hide some collections with Collections to ignore field. For each server, the tree displays its databases with all of their collections. 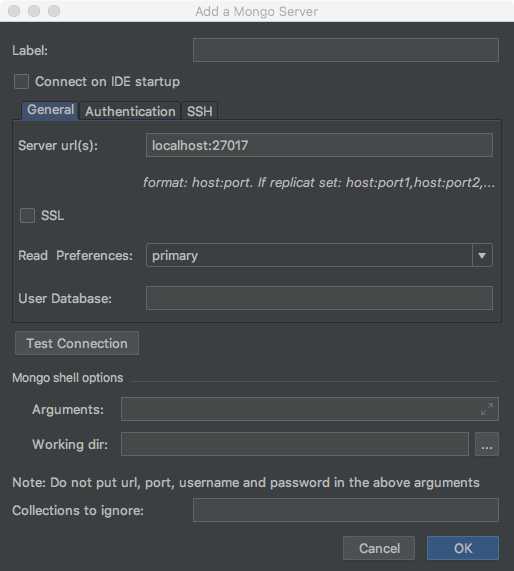 To edit or remove the server, right-click and select the appropriate action from the server node. To view the content of your server, just double-click on it. 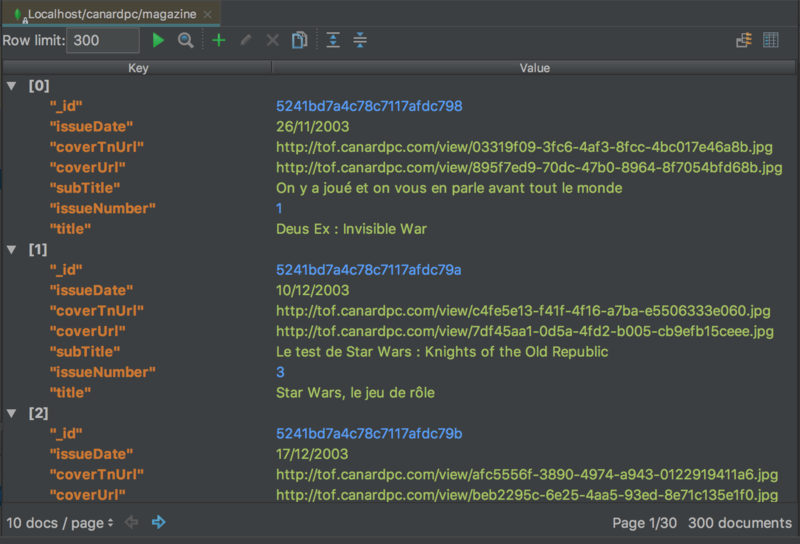 To view the content of a collection, double-click on it (or type F4) and the results will be displayed in an editor tab, alongside your open files. If you double-click on another collection, a new tab will be created for it. If you want clear a collection or database, you can do so by right clicking on it and selecting Drop collection/database (shortcut is DELETE). Be cautious with this operation, it should not be used in a production environment. When selecting a collection, you can import JSON file by right-clicking and selecting Import data menu item. Select your JSON file and click on Replace all content option if needed. The panel shows all documents of the collections (max 300 records by default). You can copy the result and paste it in a text editor. If you want to see the results in a table view instead, click on the Table icon on the right of the toolbar. If you want to run a find query, click on the Magnifying glass icon or use the CTRL+F shortcut. The query panel will appear at the top. Typing CTRL+SPACE displays a popup that allows you to select a query operator. Additionally, you can set a row limit. When you are done, click on the Run button (or type CTRL+ENTER shortcut) to see the query results. Any document can be edited by double-clicking on the object id (or by right-clicking and select Edit document). A panel will open at the bottom. 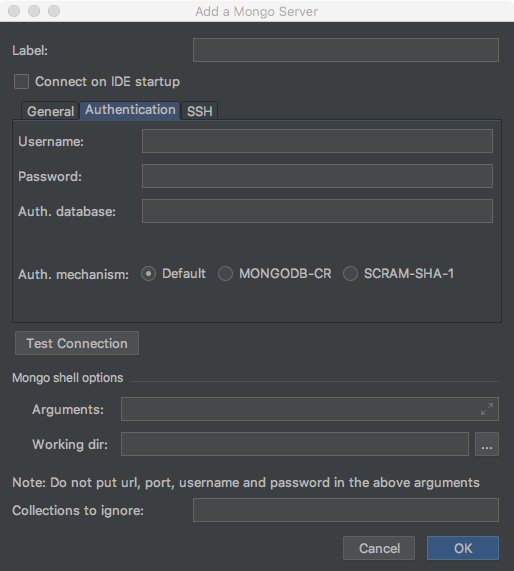 Click on the save button to send the modification to the mongo server You can add a key or value (depending on the structure of your document) by right-clicking on it and select Add a Key (or Add a Value). A dialog will appear. Set the key name, type and value and then validate your form. When your document has a DBRef field, you can view the referenced document by right clicking on it and select View Reference action (shortcut is CTRL+B or ⌘+B). 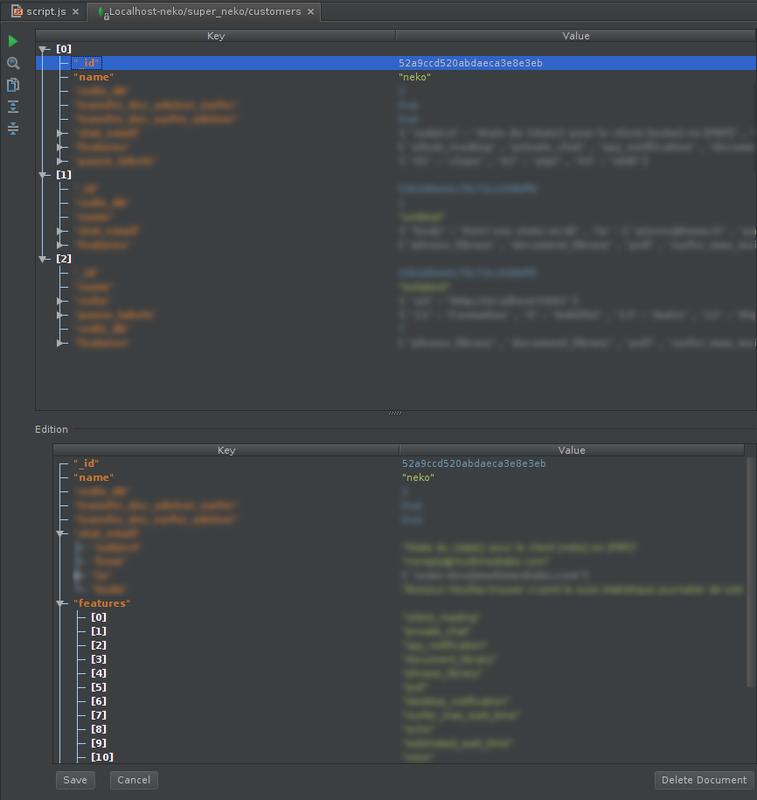 The referenced document will be displayed in the same tab. A Back button will appear and allow you to go back to the navigation history. 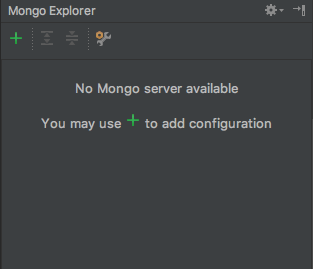 If you set the mongo client path (e.g., /usr/bin/mongo), you can run the console by selecting a database under your mongo server node and click on the button Mongo Shell on the toolbar of the Mongo explorer. Select your server and your database then click on the run button. Mark James author of the famfamfam web site who provides beautiful icons. All users of this plugin who sent me valuable suggestions. My wife and my daughters who support me to have fun in software development and also remind me my husband/father duty ;).